Hello everyone! We appreciate your time and will be concise. It's all about Ukraine heroes, who protect their own country and probably whole Europe, from Russian occupation. Some of them lost their hands and legs during their mission, but no one lost the hope. They believe that them and their native country can be a part of europen civilisation. We suggest our mission to create a rehabilitation center for veterans of the CTO on the territory of the Republic of Latvia. And we need your help! 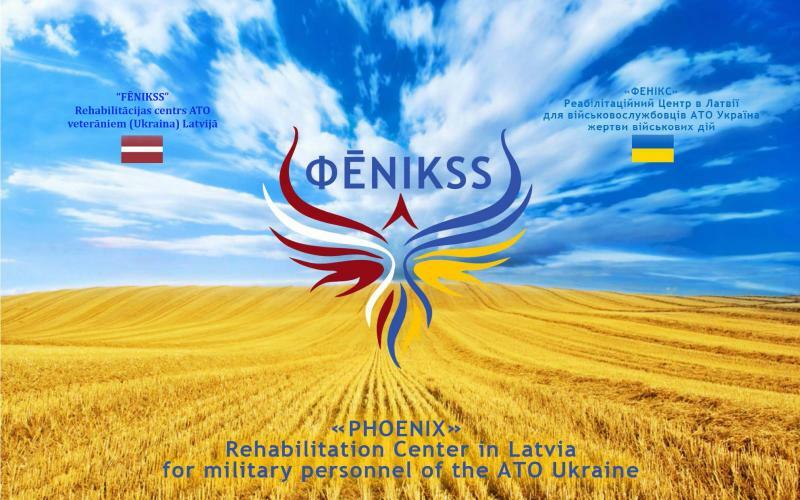 We are sure that Republic of Latvia it is appropriate place to creat a veterans' rehabilitation center CTO, with the support of stakeholders and organizations. As we all know, Republic of Latvia has been successfully defeated the consequences of the Soviet occupation for 25 years. And from early days we provide all possible support to the people of Ukraine on the difficult path to the European dream. Also, Latvia, traditionally, famous for its ecology, quality food, good-quality medicine and enjoyable sea climate. We believe that staying the CTO members in the rehabilitation center, organized here, will allow people not only to restore and strengthen their physical health, but also personally see the result of the changes that Latvia has implemented over the past 25 years. Perhaps the knowledge and experience will be useful guests of the rehabilitation center for the success civilian life in Ukraine. Thank you for your cooperation and have a great time. Sincerely yours, Michael Alekseev. All the contributors will get a bonus. in the part "Our Partners"